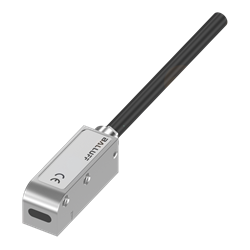 According to Balluff Product Marketing Manager for Measurement Sensing Products Scott Rosenberger, this new incremental magnetic encoder solves problems associated with the sometimes hard to achieve mechanical tolerances required when installing magnetic encoder systems. "Even with careful mechanical design, it's sometimes difficult to keep the magnetic sensor head in proper alignment with the magnetic tape. This new product solves those problems by providing trouble-free operation at easily-achievable sensor-to-tape gap distances," Rosenberger added.